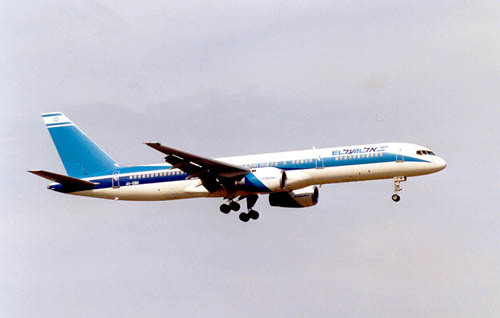 By 1999 El Al began to introduce in a low pace the new colorscheme; it is indeed very different and may take a bit getting used to. 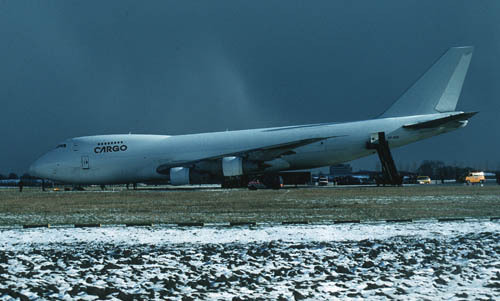 4X-AXK Boeing 747-245F(SCD) (msn 22151/478) was not able to brake on time and skidded over the end of runway 01L on 08Feb99 at Amsterdam's airport Schiphol; the aircraft was repaired in a matter of weeks. 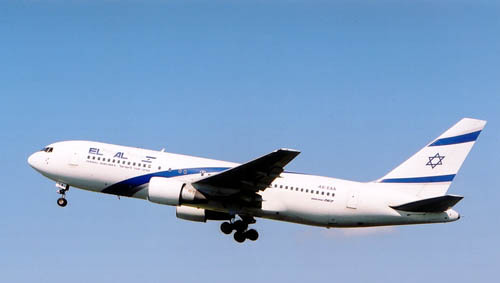 El Al also operates a fleet of Boeing 747 freighters, but these are often without any form of colourscheme and sometimes even have to do without the "Cargo"-titles.